Has your teen ever overdrawn a checking account, gotten a speeding ticket or charged more than agreed on your credit card? 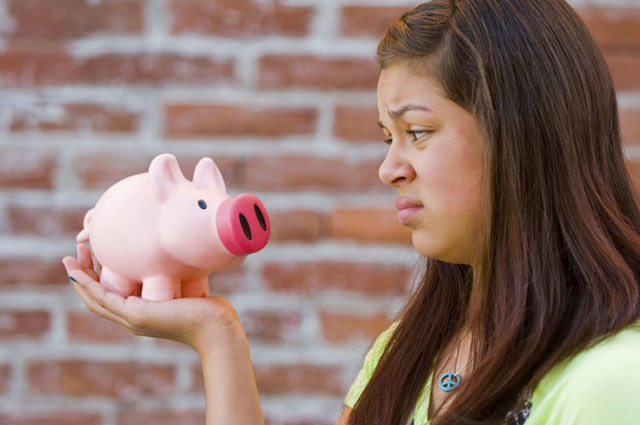 Most teenagers and young adults make financial mistakes like these at some time. But, once they have their own credit score, small financial mistakes ignored or repeated can blow up and destroy your kids’ future credit. Has your teen ever overdrawn a checking account, gotten a speeding ticket or charged more than agreed on your credit card? Most teenagers and young adults make financial mistakes like these at some time (even future personal finance experts). But, once they have their own credit score, small financial mistakes ignored or repeated can blow up and destroy your kids’ future credit. Young adults don’t get much financial respect; many assume they will make credit and money mistakes, but a 2013 study titled “Are Young Borrowers Bad Borrowers?” proved the opposite. Researchers at the Federal Reserve Bank of Richmond and the University of Arizona compared bank data over several years and several age groups. They found those aged 21 and under are much less likely to become seriously delinquent on a bill, such as 90 days past due, and least likely of all age groups to default on a credit card. Late payments and unpaid debts (defaults) are two things that cause bad credit and a lower credit score. Everyone needs good credit to qualify for a car loan, a mortgage and even a cell phone plan, an apartment lease and often, a job. If your teen displays one or more of these common indicators of future bad credit, now’s the time to intervene — before it’s too late. If your teen runs out of money and asks for more in between pay periods, he might not be handling money responsibly. Poor money management is a set-up for poor future credit because of the increased probability of making late payments, which accounts for 35 percent of a person’s credit score, according to FICO. Luckily, when kids run out of money in the checking account they learn quickly from natural consequences, such as a denied debit card transaction or bank overdraft fees and a negative balance. And teens learn quickly when they don’t have money when they want it or worse, when they need it, if you don’t bail them out of the negative balance. If your teen charges up a credit card over your agreed limit and over his ability to pay the balance in full, he might not understand the harm of carrying a balance. Explain that the more you use up your credit and carry balances (especially coupled with late payments), the more your credit score suffers because creditors see you as spending more than you earn. This is called “high utilization” and can account for 30 percent of your FICO credit score. Require your teen to pay back what they charged over any agreements. Does your teen complete chores satisfactorily, work hard at school grades or have a job? While teens are known for being lazy sometimes, a daily all-around poor work ethic can result in low future earnings and payment ability — causing bad credit. Think about whether your teen is motivated enough to earn more money. The quickest way to improve motivation is to stop the handouts and suggest your teen get a job. Failing to honor basic family requirements such as going to school, getting good grades, completing household chores and getting a job can be indicators that your teen might not handle future financial obligations any better. Even worse, refusing work and family obligations, unpaid debts and legal troubles are the biggest indicators of a future poor credit report, because both payment and earning power might be hurt for a long time. Of course, teens make mistakes like these all the time. The good news is the Federal Reserve Bank study also found young adults exposed to credit cards earlier are less likely to default and more likely to have a mortgage earlier than those who learn to use credit cards later. So, before your kids turn 18, intervene and teach them about financial products and good financial habits.